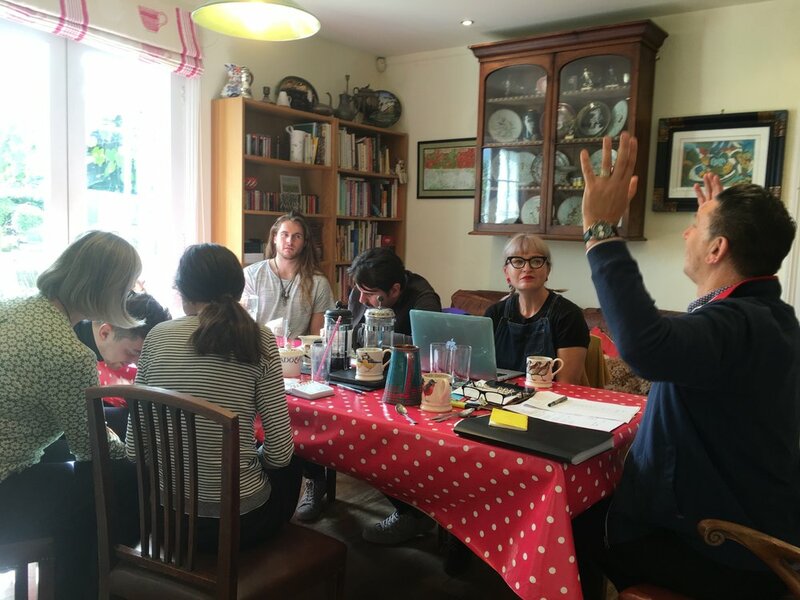 Well, now the poetic fairy-dust has settled after the whirlwind of the CWR’s first two courses last weekend, I sit down with a clear head and a cup of tea and review the whole experience. It was, if I say it myself, a triumph! 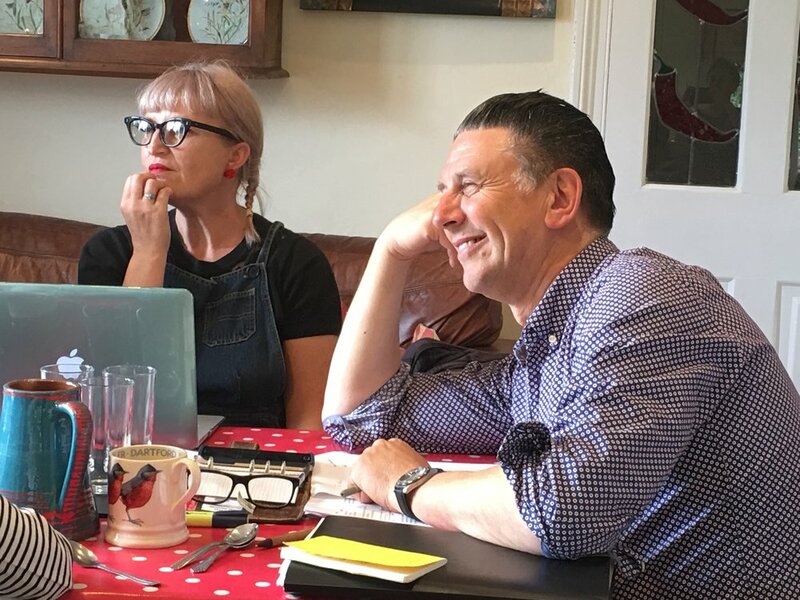 The tutors, Helen Ivory and Martin Figura, were nothing short of brilliant. 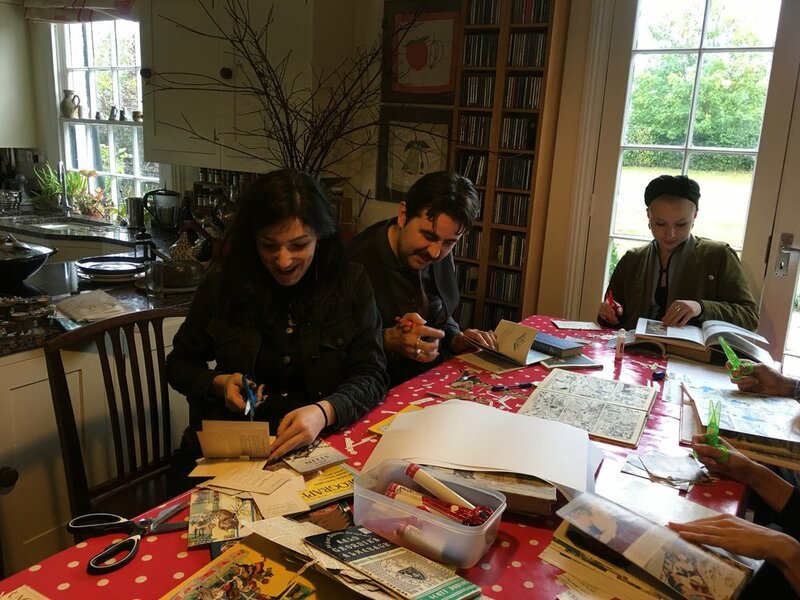 Helen’s workshop (‘New Poems And How To Find Them’) was full of wonderful exercises — including ‘cutting out’! Remember how utterly absorbing it was at school when you had a pair of scissors in your mitts, left to create whatever you wanted, and chat to your friends at the same time? Doing an activity with your hands frees up your mind, and the chatter between everyone was inspiring and hilarious. It was wonderful to watch and listen to everyone as they created ‘found’ verse with old Ladybird books and pinking shears! I pottered in the background making a mammoth Saturday night curry for 14 people, while the wonderful poets— new and experienced—glued their poetic thoughts to the page, literally. 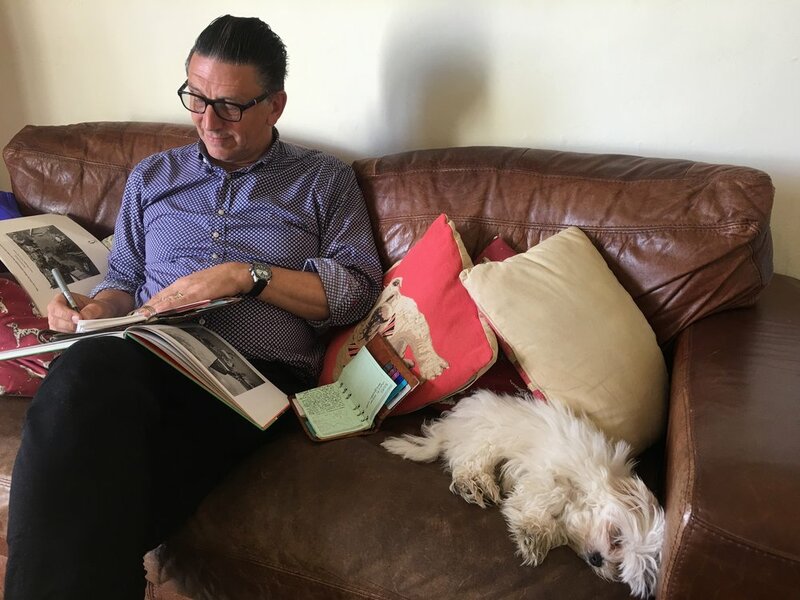 Everyone took turns to cuddle Wilfie the Maltese Terrier; ‘a cat on acid’ as someone so eloquently described him. Wilfie, Pepper the cockerpoo, and even Dixie, the ancient arthritic spaniel, became an integral part of the weekend. Saturday night was a riot. Helen and Martin read from their collections, everyone else read their ‘found’ collage poems, and the glorious Gabriel Moreno, founder of the London Poetry Brothel, entertained us with his Cohen-style compositions and beautiful guitar playing. Much wine was consumed in front of the fire. Afterwards, everyone went off to their rooms here at the Retreat, tired and tipsy, while Helen and Martin went to their cosy nest in the Shepherd’s Hut (I should add that they are married— and to each other). The day ended with all of us reading our new poetry in front of a mic and in front of each other. It was a fitting end to a fantastic weekend. After everyone left, though, I must confess I collapsed into a heap with a large gin, but on a huge high. You were all brilliant! 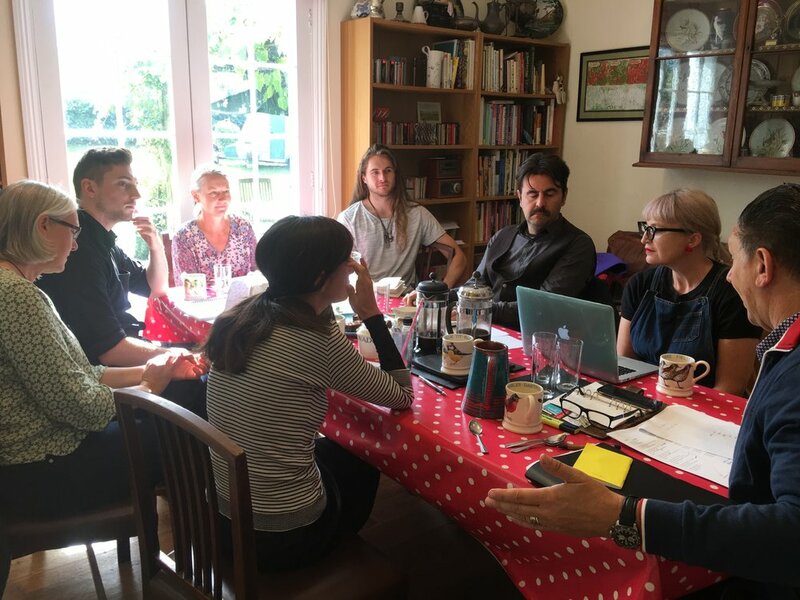 The courses were a living, breathing demonstration of how creative minds can spark off each other and how wonderful it is to be supported by fellow writers in your own endeavours. The atmosphere was warm, welcoming and nurturing. Just as importantly, it was great fun. Here are some of the pics to prove it. Anyhow, I look forward to the next courses, and hope to meet you on one of them….